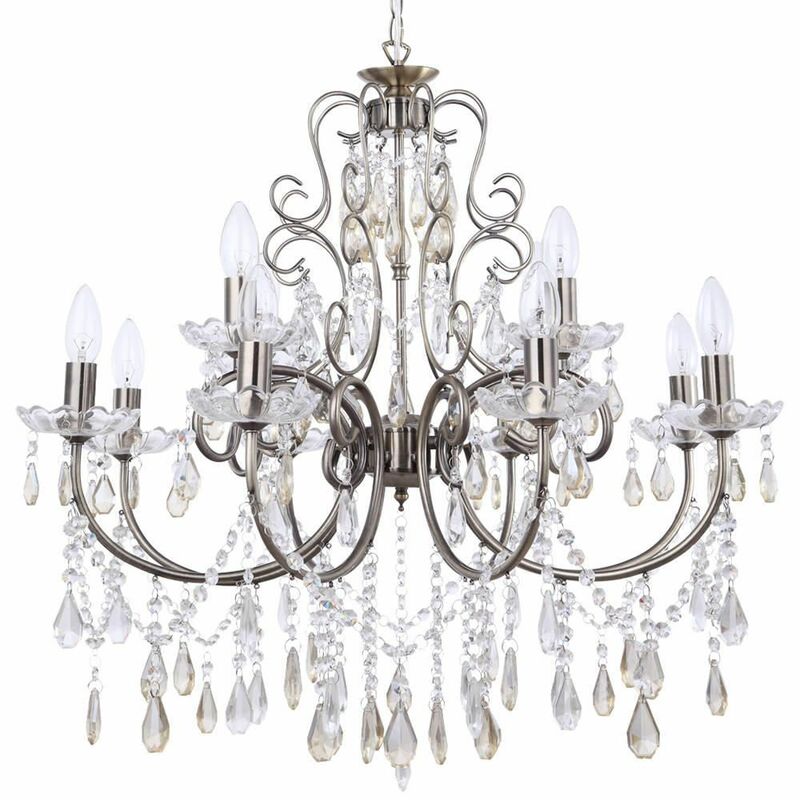 Add wow factor to your home with this dazzling 12 light chandelier from Litecraft. This chandelier features an ornate antique brass frame with 12 curved arms and stunning champagne coloured crystal effect hanging pendants, beading and sconces. 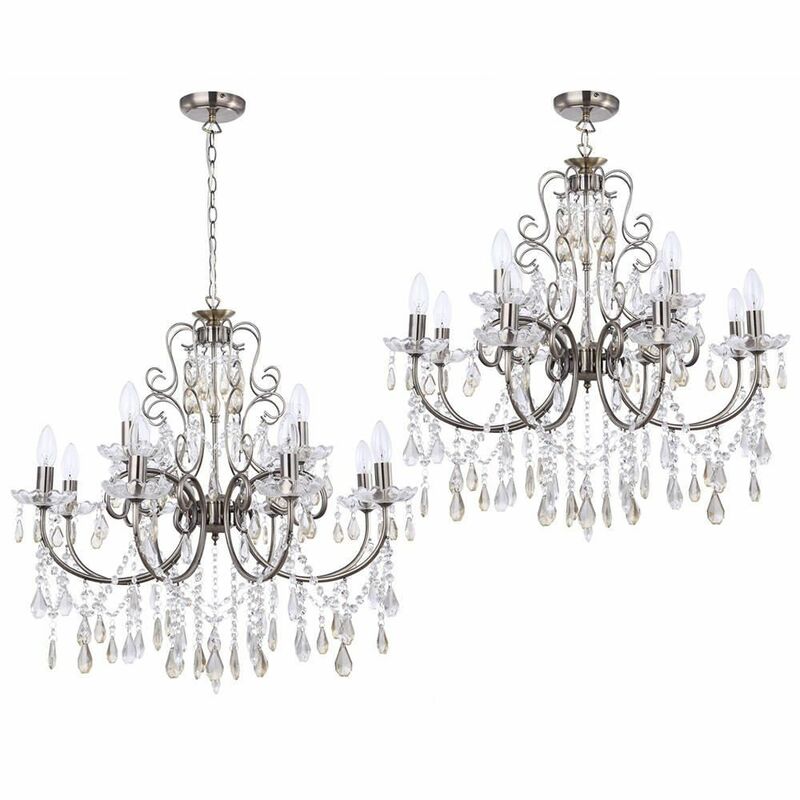 The Madonna chandelier has an adjustable drop and can also be fitted close to the ceiling, allowing you to hang it at a height to suit your home.